Is your Garage Door in need of repairs? Serving Orem Provo Payson and surrounding areas with award-winning service. We will always give you an honest and fair price because we take pride in doing our work right the first time and we stand behind our workmanship and materials. Intermountain Garage Doors offers the highest quality repair service and installation of all major brands of overhead garage doors and garage door openers on the market today. Call to schedule your garage door repair with factory trained, clean-cut technicians. Our goal in performing garage door repairs is to get your door working properly in a timely manner, at a reasonable cost. We want to build long-lasting relationships with our customers and care that they are happy with our service and will refer us to their family and friends. That is the reason we pride ourselves that some of our customers have been with us for 30 years. With our team of technicians, you can trust us to deliver cost-effective and unmatched professional repair services in a timely manner. They are highly trained and skilled experts with the knowledge to perform Utah garage door replacements and repairs on all makes and models, along with broken springs replacement and annual tune-ups and maintenance all over Utah County and surrounding areas. Repairs are performed thoroughly and in addition to fixing the problem, the technician will tune-up your entire door and opener system to ensure that everything is in good working order. We are professional, helpful and trustworthy. Give us the opportunity to earn your trust! Broken springs are very common, but they are also very dangerous. It is important to have a trained professional replace your springs. While we encourage homeowners to do small repairs themselves, we must insist that you do not attempt to do this yourself. There have been many life-altering accidents happen to untrained individuals. However, continuing to operate your door with a broken spring can cause additional damage to the garage door and electric opener systems. Garage door springs have a limited lifespan, making them one of the most common repairs. 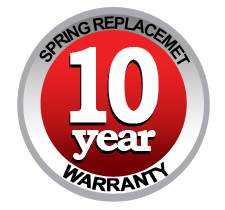 Hiring a trained professional to take care of your Utah broken spring replacement gives you peace of mind, knowing you have the correct springs on your door. 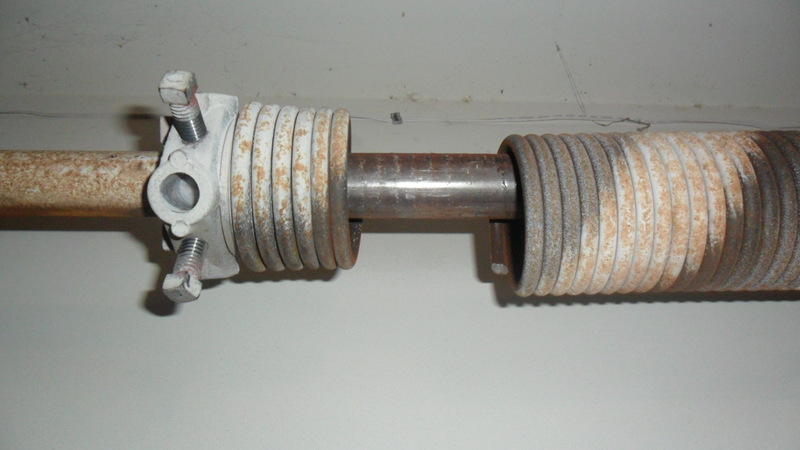 The wrong springs can cause premature failure of the opener, the door to come crashing down, and can cause much more damage.